In 2084, life inside Earth's massive domed society is a well orchestrated combination of rules, processes and regulations whose sole purpose is to safeguard the planet from its most lethal inhabitants - man. For 30 years the Administration, mankind's universal governing authority, has eliminated hunger, greed, crime, corruption and war. But a threat has arisen on Mars that could threaten the Administration's legitimacy. 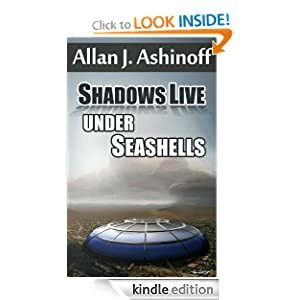 Elliot Fintch, the Administration's most promising Eductor, is dispatched to Mars to find the answer to a mystery that has eluded every other resource the Administration has thrown at it - a mystery so penetrating that it could destroy centuries of realized utopian ideology, topple the Administration, and throw two planets into chaos. 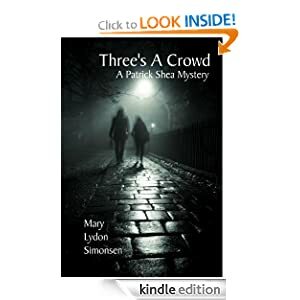 In Three’s A Crowd, we are introduced to Patrick Shea, a young detective sergeant with the Hampden Criminal Investigation Department, whose career is being fast-tracked by the Metropolitan Police in London. With an eye to an appointment with a murder investigation team at New Scotland Yard, Shea is doing everything by the book. Unfortunately, his love life is a bit of a mess and gets messier when he learns his former lover, Annie Jameson, has been assaulted on someone else’s patch. Will Shea’s involvement in the under-the-radar investigation of his ex-girlfriend put his career in jeopardy and possibly her life as well? SPOILER ALERT! This book will keep you organized. 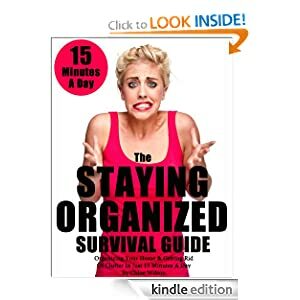 If you already know HOW to get organized but can never STAY organized as clutter just keeps creeping back in, then this quick and easy to follow system is for you. * Spend 15 minutes per day for just 30 days. * Implement the simple, but crucial, techniques to establish organizing as a habit. * Get started quickly with clutter 'hot spots' that really bug you. * Be amazed at how your small successes motivate you to carry on. * Learn how to stay on track even if you hit a bump in the road. What have you got to lose, other than your clutter? 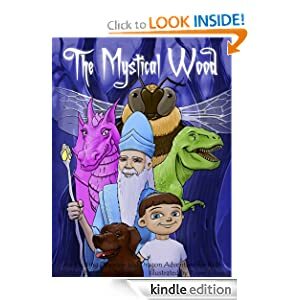 Every page of writing is accompanied by a vivid color illustration. For ages 4+.